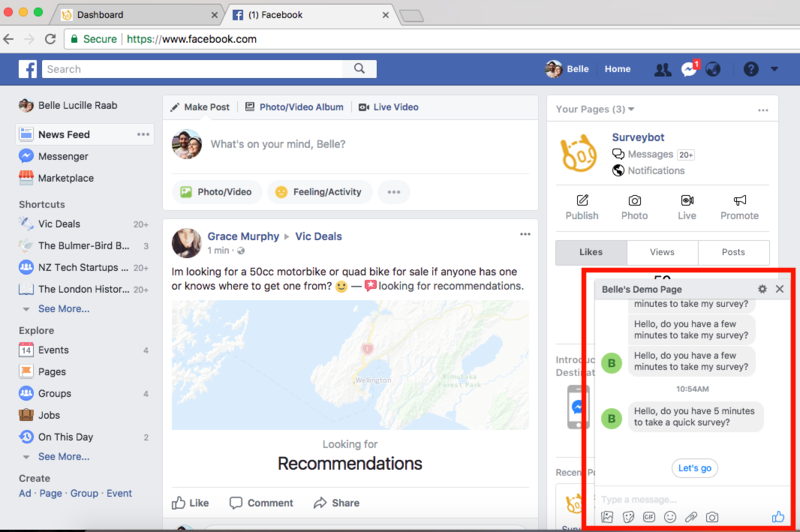 Once you’ve created your Facebook Ad campaign and synced it with Surveybot, you are all set to start collecting the chatbot survey responses you need. However, if you feel like you are not receiving the chatbot survey response rates you want, try some of these tips to help jump start the process. 1. 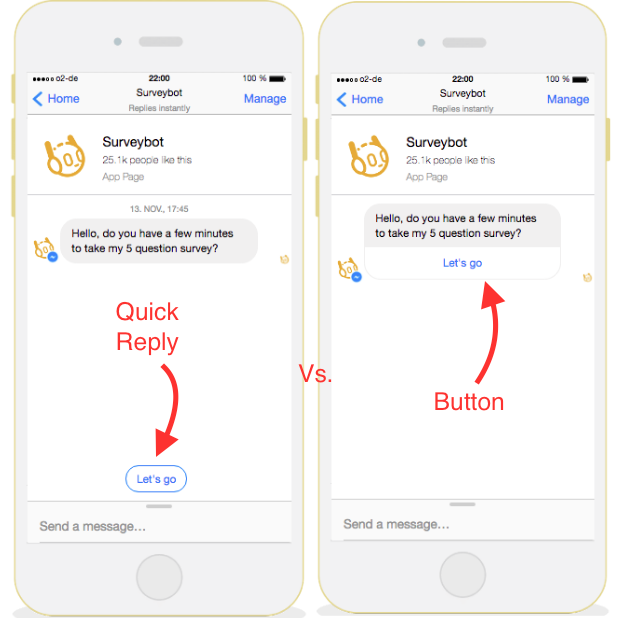 Use “buttons” instead of “quick replies” for the opening message to increase the chatbot survey start rate. This is because the quick replies appear at the bottom of the screen and people don’t always see them, whereas the buttons appear right below the message. 2. Target newer phones to reach respondent’s with “newer” versions of messenger. 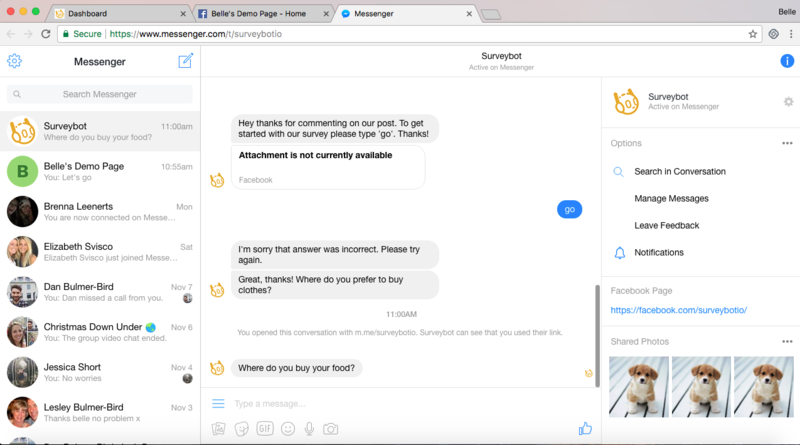 A lot of bot features don’t work on older versions of messenger and Facebook has not provided insight into this yet. To target respondents with new versions of messenger you will need to edit your placement options when creating your Facebook Ad. Then, select the range of OS versions you want to include. 3. Select “messages” as your Facebook marketing objective. When you setup an ad campaign instead of clicking “traffic” try the “messages” option for your marketing objective. This is a new feature from Facebook and can help improve your engagement with respondents on messenger. 4. Try a Facebook post campaign instead. 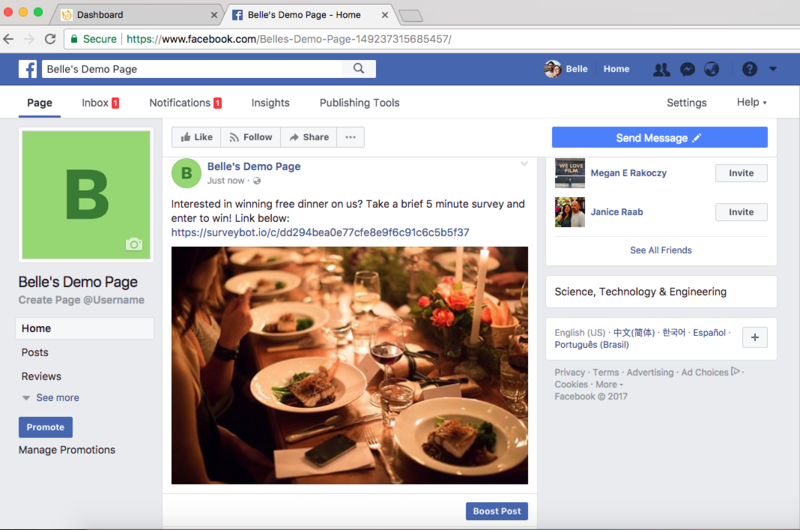 You can use Surveybot to generate unique a “short link” to include in your Facebook post. This can be more effective on a desktop because it opens “messenger.com” in a completely new window instead of the small chat pop-up at the bottom of the screen that people can sometimes overlook. The small chatbox pop-up can be missed or ignored. It opens a whole new page inside messenger. We hope you find these tips helpful! If you are already a Surveybot user we encourage you to log on now and try out these new tips. ? If you are not already on Surveybot, it’s the perfect time to start a free trial! You can find more information by clicking the button below.